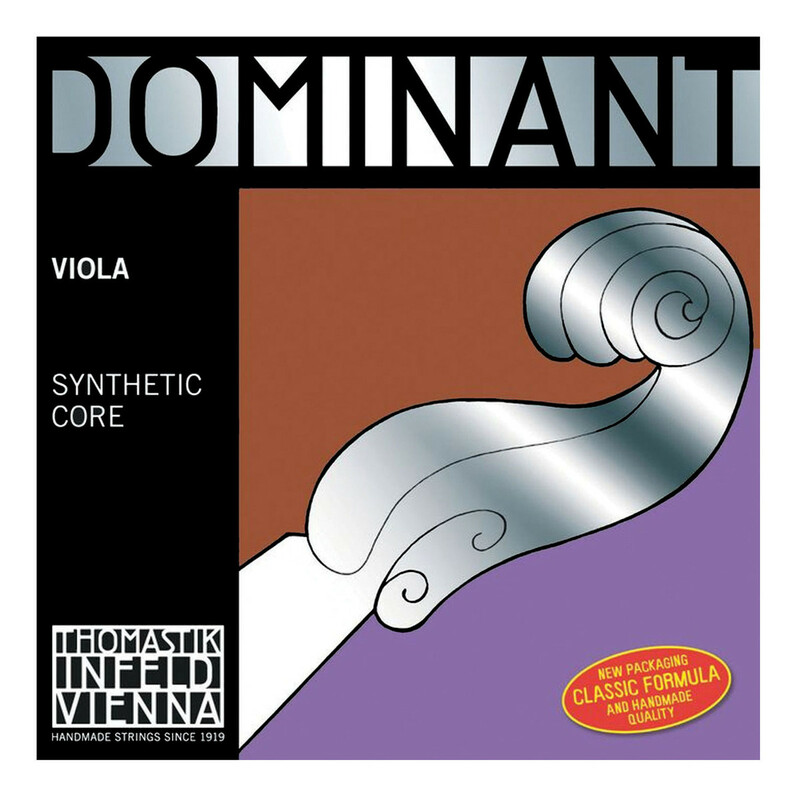 The Thomastik Dominant 137W 4/4 Viola D String offers a great blend of warmth, brilliance and clarity to your playing. Thomastik's synthetic strings are resistant to change from humidity which provides durability and reliability, as well as having the tone of real gut. The string is aluminium wound for great flexibility in tone. The sound produced is soft, yet maintains its clarity amongst the rich overtones. This string is slightly lighter than the standard model for increased tonal versatility.